David Lester, a Vancouver-based illustrator, writer, and musician, has a keen interest in history with social justice themes. The Listener (Arbeiter Ring, 2011), among his most notable graphic novels, is a gripping story that moves between Germany during the rise of fascism in the 1930s and the contemporary life of a woman artist. 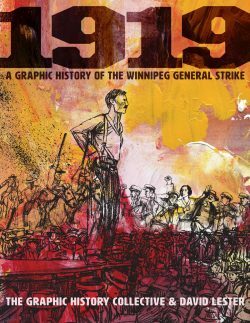 In this most recent book, 1919: A Graphic History of the Winnipeg General Strike, Lester re-visits an important event in Canadian history, employing a simpler linear narrative and emphasizing artfully executed black and white drawings. As a result, a new generation is introduced to a tumultuous event a century ago, when more than 30,000 strikers battled police, vigilantes, and the government in May and June on the downtown streets of Winnipeg. The six-week dispute made international headlines and inspired workers to mount sympathy strikes from Vancouver to Amherst, Nova Scotia. So begins a review about A Graphic History of the Winnipeg General Strike. 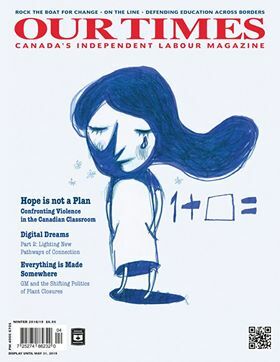 Vancouver, Figure 1 publisher, 2018. A signature piece of ceramic art created by BC artist Gathie Falk inspired the title of this memoir and is symbolic of an artistic life as bold as the biblical Eve. The idea to create a pyramid of glistening apples came to Falk after observing produce in a Vancouver grocery store. She transformed the ordinary scene into a ceramic sculpture in 1970, as part of an installation entitled ‘Fruit Piles.’ Falk continues to create from her east Vancouver studio at age 90. ‘Apples, etc,’ is told in the first person, assisted by seasoned art critic Robin Laurence. Stories are linked together, seamlessly combining tales of Falk’s award-winning performance art, ceramics, sculpture and paintings alongside insightful remembrances of her life journey. 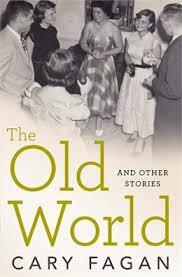 Embedded in this memoir as well, is the growing recognition of the province’s cultural history and contributions. 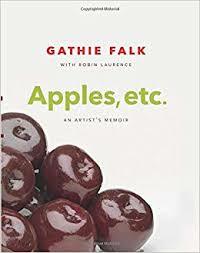 This begins my book review of Gathie Falk’s memoir. 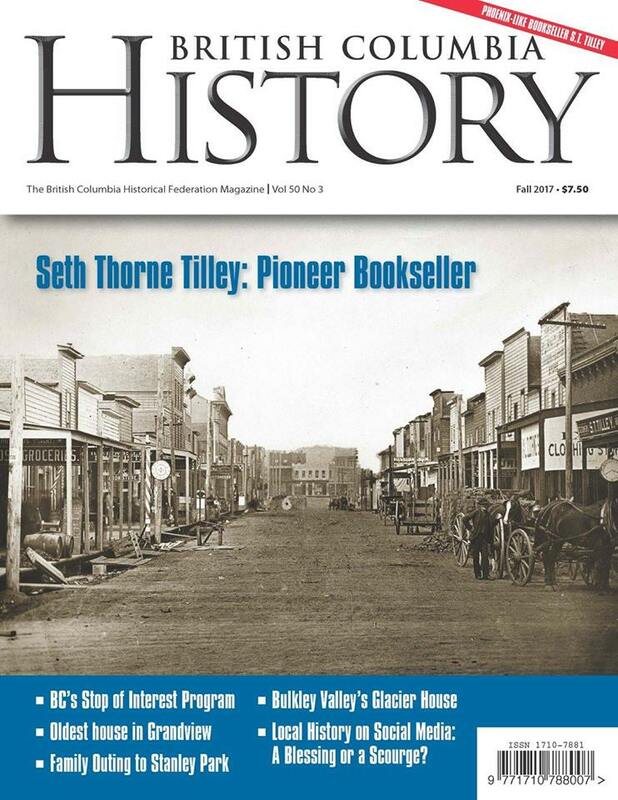 Full review is available in the upcoming Winter 2018 issue of BC History, available on new stands this month. I review two books — The Life and Art of Arthur Pitts by Kerry Mason and Fernie at War: 1914-1919 by Wayne Norton in the current issue of BC History magazine. Arthur Pitts (1892-1972) was a watercolorist, illustrator and photographer from England who spent most of his adult life in BC, primarily in the Victoria area and in Vancouver. His depictions of BC landscapes and First Nations people are “a valuable contribution to the artistic documentation of the Northwest Coast First Nations” according to author Kerry Mason, who also brings in Coast Salish artist Carey Newman to weigh in on Pitts’ legacy. Fernie, in the east Kootenays of BC, continues to attract tourists for its beauty and layered history. Author Wayne Norton examines the town during the First World War and aftermath, highlighting residents who were both loyal and critical to the King’s call to arms. The hard lives of coal miners and their union struggles are also described in detail. 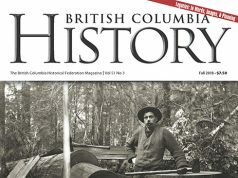 Available in BC History, Fall 2018 – Subscription and distribution details at the magazine website. 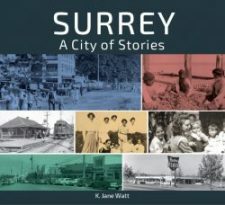 This visually rich book provides a satisfying history of the City of Surrey, the fastest growing area in Metro Vancouver, with B.C.’s second largest civic population of about half a million people. For a project to mark Canada’s 150th birthday, K. Jane Watt has devoted her passion for B.C.’s past to provide a concise text accompanied by more than 500 photographs, documents, maps and other fascinating illustrations. Obviously delivering an historical overview of sprawling Surrey is a daunting task, considering its vast mix of urban and rural landscape framed by the Fraser River to the north and the Strait of Georgia (Boundary Bay) to the south, including six town centres in between — Whalley, Guildford, Fleetwood, Newton, Cloverdale, and South Surrey. Published by The Ormsby Review, March 20, 2018. Vancouver: Granville Island Publishing, 2017. Pnina Granirer was creative from an early age, but she didn’t come in to her own artistically until the “third act” of her life journey. This memoir reveals why this is so as the author recounts her beginnings in Romania, followed by immigration to Israel when she was fifteen and then to North America in 1962. When Granirer eventually settled on Vancouver’s west side with her husband Edmond (“Eddy”) Granirer, a University of British Columbia math professor, she began exhibiting art and building an international reputation while raising two sons. 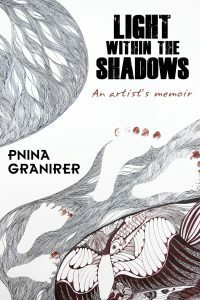 Granirer has spent most of her life in Canada, yet it is her “back story” — her life in Romania and Israel — which informs these later experiences and consumes two-thirds of Light Within the Shadows.